← It’s Time for Mick. The sick aggressors’ names are rattled off on the evening news as each mass shooting occurs. The next murderer wants his name in that infamous club. It has to STOP. This plague on our country has to stop with tighter restrictions on gun control. Personally, I would like to see a three-month training course and psychological evaluation given to anyone that wants to own a handgun. This blog, however, is not about my personal stance on a hot button political topic. I know that is odd coming from me, but today is about names. It is about the FACT that I am going to erase the killer’s name in Newtown, CT. from my memory. It is also a FACT that I am going to remember forever another name, that of one of the victims. As I read online this morning, the list of victims in the shooting in Newtown, I closed my eyes and made a vow. I was going to pick one of the victims and remember them…truly remember that they existed on this earth…for the rest of my existence on this earth. One of the names was going to be inprinted on my psyche, along with a smiling face. Forevermore, when someone mentions Newtown, CT., I am going to associate it with the smile of a six-year-old boy. His name is Noah Pozner. I am not related to Noah Pozner and know nothing of his life, other than the fact that it ended this last Friday at the age of six. Think about that for a minute, six years. I am sorry, but a lunatic does not get to decide if Noah’s being gets to end like that, I refuse to give him that victory. Noah’s family and friends will have to grieve and live with the tragedy of his ending for the rest of their lives. I hope they get to a place someday where they can feel a smile ease across their face, when a memory walks passed them. It is a given that those that knew and loved this little boy will never forget him. I am choosing today, right here and now, to join those that loved him. I vow to never forget Noah Pozner. Won’t you join me? Pick a name on the list from Newtown and vow to always remember. After this blog, I also vow to stop calling Noah a victim. Noah Pozner was a beautiful human being whose life was six years in length. For all I know, those six years might have contained more beauty and enlightenment than I have had in my fifty years on earth. Noah Pozner existed, he was here with us, and now he is not. That is what I know, that is what I cannot change. What I can change is based on a name. I will never think or speak of the monster’s name again…or the monsters who came before him. I will remember one name, until I remember no names. This entry was posted in Uncategorized and tagged mass shootings, Newtown, Noah Pozner. Bookmark the permalink. Thank you, Julya. I have chosen to remember 6 year old Jesse Lewis. Whoa! Absolutely loved this blog and I hope you send it to his parents. They need to know there are people who will never forget Noah. That he mattered. And he was a twin to Arielle who was in a different class. My husband has chosen Emilie Parker to never forget. I will never for James Mattioli. I also made the choice to remember one name. It just so happens it was also Noah. His was the first face I saw of these precious children who left this world much too soon. Tomorrow is Noah’s funeral. I will spend a good part of my day thinking of him and his family. I will spend time on my knees tonight praying for Newtown, CT. Thank you Ju. Wow! Beautifully stated. Thank you. Victoria Soto put her body between the gunman and her students. She’s a true heroine. She died saving her students. What a great lady. Thank you so much for this inspiring post. I made the choice to remember Grace McDonnell. This is such an inspiring post. I love the idea of making a conscious effort to remember someone’s name other than the shooter, who died that day. I will remember Catherine Hubbard. I saw a picture of this adorable little red-headed girl (which makes me think of the Charlie Brown cartoons) on a new website yesterday and for some reason her face and sweet smile spoke to me. Ana Marquez-Greene. Her adorable face with her curly hair and beautiful girly dress are imprinted in my mind forever. I will remember her name – always. Thank you so much for this! I have chose Catherine Violet Hubbard. I vow to never forget her name…or her beautiful soul!! Oh here is my tribute to Catherine Violet Hubbard! You made me cry! Beautifully written! Avie Richman– a little girl who liked kung fu and archery, whose family called her a “spitfire.” It’s a shame that the world will never know what should would have become. Wow! What a powerful idea. Thanks for sharing it and for remembering Noah. Because of her name, Allison Wyatt. Cassie Bernal was killed at Columbine. She was killed after she said that yes, she did believe in God. 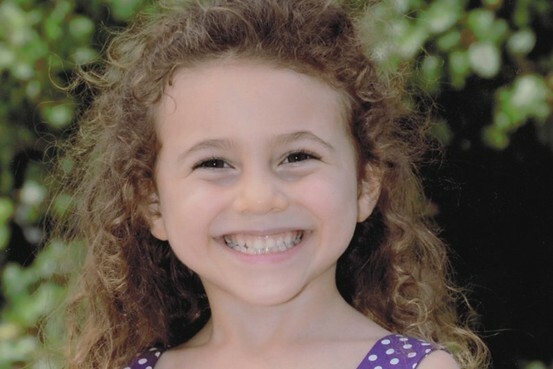 From Sandy Hook, I’ve chosen to remember Emilie Parker too. I chose to remember Noah Pozner as well. He has a twin sister and I am a mom of boy/girl twins, so his story was even more heartbreaking for me (if that is even possible). I have been thinking of him often over the holidays. I think of so many of those little babies every day and I think of their families and how they are doing now that the attention is off of them. My 8 yr old and 11 year old did 26 acts of kindness one week after this tragedy and on each card we left, my kids left notes like, “you are loved” and “make someone smile today”. I hope it made a difference to those who got it. I know this tragedy and those lost have made a difference to me.